This next car is one of those vehicles that when you drive, you might think there is something wrong with the engine....so you pop the hood...and discover that it appears to not have an engine. But if you just imagine you are driving the world's heaviest motorcycle...it sorta works. Find this 1972 Honda N600 offered for $5500 near Detroit, MI via craigslist. Tip from FuelTruck. 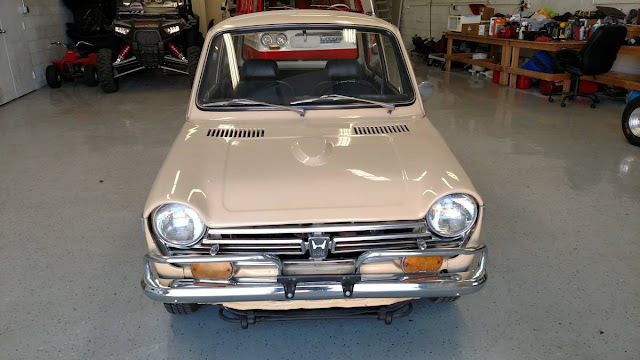 Selling my 1972 Honda AN600. 39,000 miles. Extremely rare car. Everything is there including spare tire. Runs and shifts good. Body is solid. New tires. Paint job isn't great but looks good. This car is tiny! Gets a lot of looks. First $5500.00 Firm takes it. 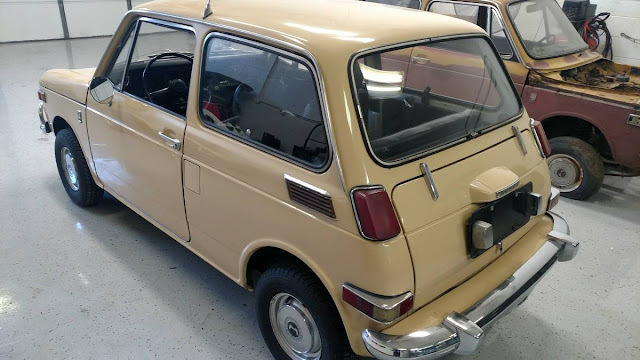 As a youngster hitchhiking to another town back in the day, a guy driving one of these Hondas stopped to pick me up. 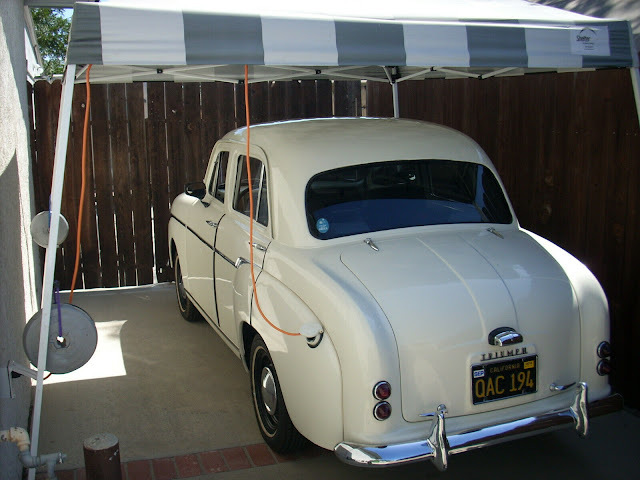 Foreign cars of any type were still rare. I remember through the haze of time having to stoop down baby to get in the car...and I was just a stripling of a teenager! For the average American male of shall we say excessive avoirdupois, fuggedaboutit! The Angry Hamster is a Z600, which is the "coupe" version of the 600, with a different body, but close! Built by a super smart guy named Tim Taylor. We raced against him several times and then raced with him - he drove our AW11 "MR SakiBomb" in a few races. Tim is working with our buddies Alex Vendler and Dave Coleman (both featured on the defunct DT Radio Show!) to produce the Miatabusa. Take a Hayabusa engine, remove the gearbox, attach a bunch of adapters and mojanguses and bolt it all to a Miata transmission. They have it running again after many valiant efforts and subsequent failures it might be finally done. The miatabusa project has no updates since 2015. The last update was quite an amazing read, but nothing since. A Hayabusa engine with a Miata gearbox sure sounds like fun though.